Reports are coming in of a huge turnout in Dublin today in the #FreeMarianPrice cmpaign. More to follow at a later date. Below is the latest from IRISH REPUBLICAN NEWS. .
following a large IRA funeral in Dublin for Alan Ryan. home, evidently on the orders of the city's powerful crime bosses. delay attending the scene of the cold-blooded assassination. to be celebrating his death. processed along streets lined with black flags and tricolours. the church, where a traditional family funeral took place. which is highly suspicious," he said. such funeral in the city in decades, with significant media interest. with the funeral, which he said was "a fitting send-off" for Mr Ryan. in subversive activities or their supporters." and mobile phones were seized. adding that Mr Ryan's mother had 700 euros in cash taken from her. 32-year-old's murder was progressing with very much less urgency. Ryan family and friends of Alan by An Garda Suiochana. campaign against the Ryan family." The arrests had "exposed the agenda" of the Gardai, the group said. intimidate those who were close to Alan into silence." when the peace process came forward," he said. which is not about republican struggle." was known as Long Kesh (Ceis Fada). calls for it to be preserved in its entirety as a world heritage site,. as the chairman of the 'Maze/Long Kesh Development Corporation'. centre' including the prison's former hospital ward. economic, historical and reconciliation potential of the site." "has been transformed and regenerated in moving beyond conflict". determined that the centre would not become a republican "shrine". every level, that there will be no shrine at the Maze," he said. potential of this valuable regeneration site". breaching a code of practice. to which several board members have links. thousands more supporters are due to parade past later this month. while passing a Catholic church in August. with the PSNI in the wake of a republican commemoration in the area. on Donegall Street for offence caused during its 'Last Saturday' march. centenary parade on September 29.
largest seen in the North for decades. that mediation would take place ahead of the march was "fading fast". a protest at the top of Donegall Street on the morning of September 29.
on concerns about the parade. behind-the-scenes talks going on that involve residents. "We have not received so much as a phone call." significant number of residents who live in the area. may be engaging in a PR exercise. that they are talking to?" he asked. support at the Stormont Assembly. disobedience" by the controversial Minister. turning point in Stormont's approach to the parades issue. death by the British authorities. 'waterboarding' -- a torture technique -- in British hands. imprisonment, but he spent 17 years in jail. on the grounds that his arrest by British soldiers was unlawful. finally agreed to make public the military rules of arrest. practice, was certainly outside the law". establish the identity of the person under arrest. and brought to the British Army barracks. be shot if he did not confess to the killing. said that wasn't true because I didn't," he said. towel all round my face, very slowly. nose, you are sniffing the water in. feel like you are suffocating." Newry spokesperson Stephen Murney, it has emerged. provide his name and address. they would also be calling to the rest of the houses in the street. into their vehicles and drove off. that his was the only house visited in the street. before the next step in the process, which took place a few weeks later,"
said eirigi, in a statement. aware of his previous interaction with the PSNI. activist and gather information for them. him into gathering information on a member of an open political party. clear that he was clearly unsettled by this whole episode. under cover and out of sight to target him and others." forward and expose their ominous activities." those allegedly named in the interviews as IRA members. and loyalist figures as part of a history project for Boston College. historical actions by the Provisional IRA. One of the interviews was with former political prisoner Dolours Price. both the US and in the north of Ireland. because the case "addresses issues of major constitutional importance"
subpoenas in the US than could be exercised by, for instance, the FBI. subpoenas served by foreign powers under an MLAT." some of them had "poor human rights records". tapes in the US, but separately from the two men. "Dolours Price did not once mention the name Jean McConville," he said. mentioned. Not once," the New York-based journalist said in a statement. "None of this is in her interviews with Anthony McIntyre." conclusion of the legal challenge there. Moloney's full and detailed statement is carried below. PSNI's attempt to access the project's confidential interviews. in a court of law where we had a chance of overturning the subpoenas. facts and my statement below goes into far more detail. until their deaths. I intend to keep that promise. is in her interviews with Anthony McIntyre. treaties to prevent a future similar injustice. subsequently shared by the PSNI and the US Department of Justice. for Location of Victims' Remains (ICLVR) investigators later this week". involvement in a series of murders and secret burials". permitted to listen to portions of Ms Price's BC interviews." served against BC were therefore justified, the US government argued. So what was the genesis of Ciaran Barnes' shocking misreporting? could not have been BC's. anything and getting herself into undeserved trouble. information about at least four Disappeared victims." cannot be said for his reporter Allison Morris. interviews as the source for the story. could face charges over what Ciaran Barnes' claimed she had told BC. source for his story is a sheer impossibility. from Allison Morris' tape because there was no other tape. is lying by comparing the Boston interview with the quotes he publishes. and the relationship between the media and the police. Price and the "tape" that Ciaran Barnes had claimed to have listened to. their evidence 3,000 miles away in Boston. Why? there was no way that Ciaran Barnes could have heard her BC interview. clearly said that the basis of the subpoenas was flawed. know what Dolours Price told BC's interviewers. Neither does Ortiz. guarantee of confidentiality was given to every interviewee. nothing happened and the PSNI sat on their hands. have volunteered my support for them. why they did not seek material nearer at hand than Boston College? rather than to The Irish News but it is an intriguing question. was up to scratch, it had to be not long after the articles appeared? June 2011. That is a gap of fifteen months. Fifteen months! name of the college wrong, calling it "Boston University". his article, Allison Morris' taped interview. excluded on the grounds that she had compromised her confidentiality. yellow journalism, to back up this claim. surely the lowest in BC's ignoble odyssey through the PSNI subpoenas. Rising commemoration in Derry city cemetery the previous month. prosecution objections, she was granted bail. is gravely ill. She could be held for the rest of her life. cannot be made public, on the grounds of "national security". outside Massereene barracks in Antrim in March 2009.
bail. But, again, Paterson's order took precedence. unable to connect her with. crime had actually been committed at the Easter Commemoration. charges relating to the commemoration were thrown out at Derry court. reasonable period and that the prosecution hadn't met this condition. the third time the Tory minister said no. Prison where she was now being held to follow the proceedings on screen. and due process or for humanitarian reasons to do with her health. health, we urge you to release her on humanitarian grounds." believe to be in breach of the European Convention on Human Rights." date or a date when she can apply for release. mainly by flying glass. One man died from a heart attack. two life sentences and a determinate sentence of 20 years. major factor in the anorexia which led to the 1980 pardon. claimed that the terms of the pardon did allow his intervention. it gave Paterson no power to put her back into prison. signed up to the deal. enough, the Northern Ireland Office will have wanted her out of the way. Initially, parole commissioners ordered Paterson to produce the pardon. be drawn from other material from the period. On 30 January, the commissioners declared: "The issue is a simple one. was "to use as neutral a word as possible... unfortunate". secretary of state to continue the search for the RPM." paramilitary organisations or by state forces. the secretary of state to free her now." 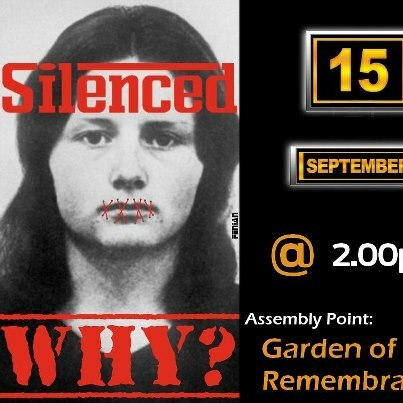 will be held in Dublin, to demand the release of Marian Price. before making its way to the GPO. Adaim will also perform at the event.